The Laureus Foundation is a group that supports community sports around the globe in order to “help young people overcome the limitations imposed by challenging social issues including poverty, homelessness, war, violence, drug abuse, discrimination and AIDS,” according to their website. 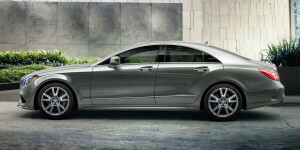 And since 2012, Mercedes-Benz has donated millions of dollars to aid their cause. “I Challenge Myself,” which is focused on developing fitness challenges for students in high-poverty high schools, and “Fight Back,” a jujitsu program in the South Bronx, are examples of programs that The Laureus Foundation offers with the goal of increasing confidence, motivation, and compassion amongst young people. Isn’t it refreshing when you hear about a successful company like Mercedes-Benz supporting a great cause? We think so. To support the support, come see us at Mercedes-Benz of Beaumont, located at 1865 I-10 South. We’d love you to take one of our new models out for a spin.